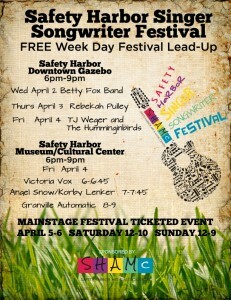 The lead-up to the Singer Songwriter festival will include a number of free shows in town. One of the neat things about the Safety Harbor Singer Songwriter Festival that’s taking place this weekend is the amount of ancillary shows surrounding the main event. While the bulk of the action will center on the musicians who will be playing at the waterfront park on Saturday and Sunday, there will be a number of smaller, free sets performed by artists at various venues in town. The first of these freebies takes place Wednesday night at the John Wilson Park Gazebo, when local blues/soul group the Betty Fox Band performs from 6:00 – 9:00 pm. That show will be followed by free performances by area artists Rebekah Pulley and TJ Weger and the Hummingbirds over the next two days, culminating in a three-act set at the Safety Harbor Museum and Cultural Center on Friday night. The extra concerts are serving multiple purposes, according to event founders and local artists Kiaralinda and Todd Ramquist. Want to know which acts will be appearing where around town? There’s an app for that! 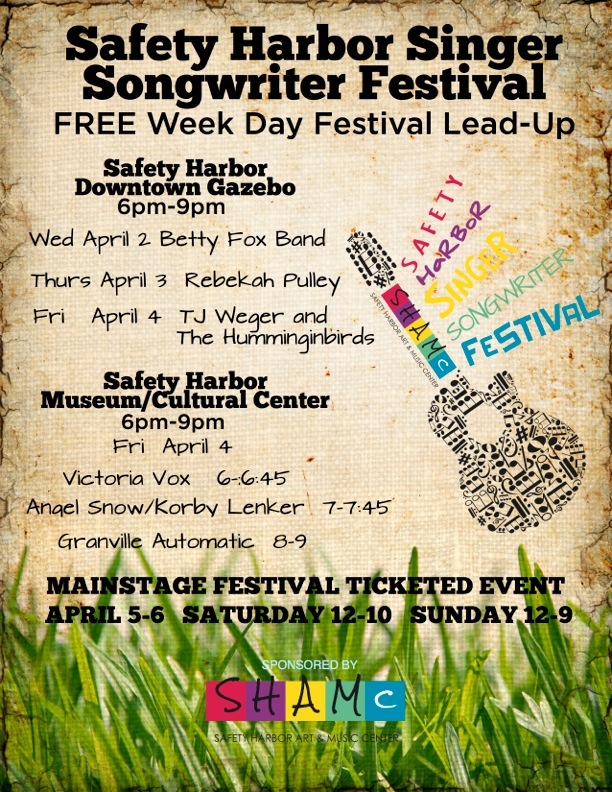 In addition to the gazebo and museum gigs, the weekend will also include smaller sets by some of the main stage acts looking to perform at some intimate venues. Kiaralinda said Saturday headliner Ben Taylor, son of legendary musician James Taylor, is planning on doing a jam session at the 8th Avenue Pub sometime after his main stage show is complete, and other artists will be popping up in various bars around town. In fact there’s so much extra stuff going on, festival organizers came up with an app, SHAMc 2014, in order for people to keep tabs on who will be performing where and when. The app is available for Android and Apple devices. It all adds up to an incredibly jam-packed five days of diverse music in a variety of locations, which, according to Kiaralinda, is a win-win for the community. “More music for our community, especially free music, is definitely a good thing!” she said. 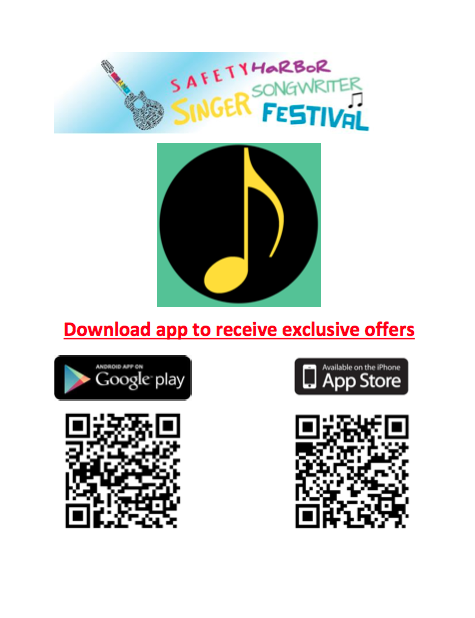 For more information on the Safety Harbor Singer Songwriter Festival, including ticket and lineup information, visit the event website at www.safetyharborsingersongwriterfestival.com.